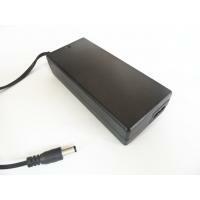 The IN2902000 is designed to charge 2S cell Lead acid battery pack. This charger is easy and safe to use. It features pre-charging, bad/wrong battery indentification and alarm, backfeed protection(BFP), anit reverse polarity connection, eliminating sparks by soft start. It has been certified for the safety standards including UL1310 Class 2 Battery Charger, EN60335-1/2-29 and AS NZS60335-1/2-29 Household and similar electrical appliances - Particular requirements for battery chargers.